Description: X-Acto #15 Keyhole Saw Blades are designed to make small interior cuts in different craft materials. 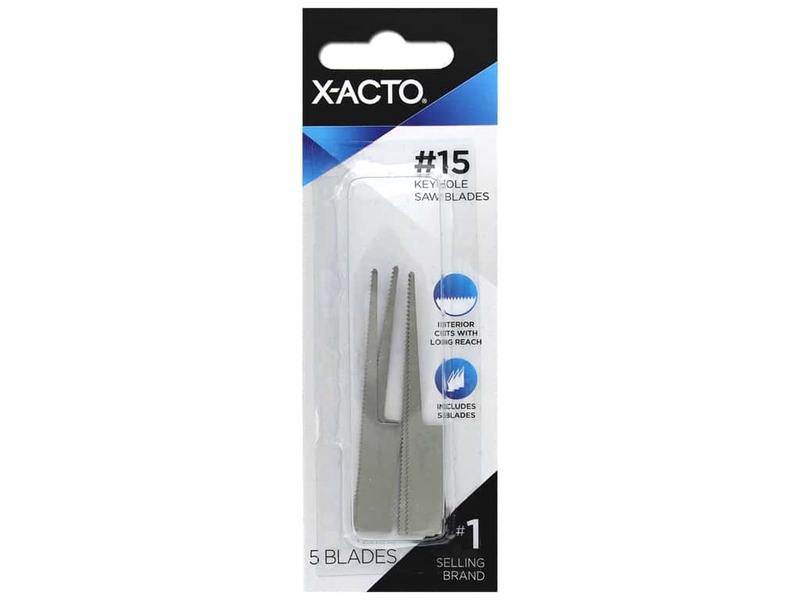 Use X-Acto #15 Keyhole Saw Blades to cut a paper, balsa, cardboard, thin metals, soft woods, foam and more. These blades will fit the X-Acto handle styles: #2 Medium Weight Aluminum, #5 Heavy Duty Plastic and #6 Heavy Duty Aluminum. 5 pc.